As a systematic way to increase efficiency and better please customers, lean principles run counter to traditional mass-production practices. Yet, they allow small and medium businesses to consistently increase quality while decreasing costs. In post WWII Japan, Toyota developed a revolutionary production process now known as lean manufacturing. This highly successful method for reducing waste, improving flow, and increasing production began as a method to compete with Western automakers and soon became a revolutionary production mentality the world over. As a systematic way to increase efficiency and better please customers, lean principles run counter to traditional mass-production practices. Yet, they allow small and medium businesses to consistently increase quality while decreasing costs. They emphasize key objectives like simplicity, flow, and balance. Companies large and small can leap over their competition by understanding and implementing this highly efficient system. Lean management in manufacturing provides a sustainable competitive advantage by streamlining the production process from raw material to customer. And reduction of waste and non-value-added activity increases total system efficiency. Whereas the mass production method developed by Henry Ford might increase total output to increase profits, Toyota-inspired lean focuses on smaller batches to smooth production flow in the plant. So the result is a reduction of non-value-added activity and a subsequent increase in value-added activity. Without increasing the number of employees or adding new equipment, meaningful output is increased as a ratio to busy work. Built on the Japanese model of efficiency, lean manufacturing seeks to continuously reduce muda or waste. And the power of lean manufacturing lies within its ability to find processes and actions to reduce or eliminate. In turn, this creates a balanced process that reduces cycle time and waste, increases quality, and enhances customer satisfaction. Defects: A defective part caused by poor quality inputs, user error, or other problems is costly and easily avoided. Overproduction: Overproducing irrespective of demand or capacity is wasteful and not considerate of the customer. Waiting: Bottlenecks occur due to oversupply or undersupply and should be handled by better supply chain management and personnel management. Not Utilizing Talent: Waste occurs when the skills of the workforce are underutilized or misappropriated. Human talent is a highly valuable and often overlooked commodity. Transportation: Movement to and from docks and warehouses is an area for potential waste reduced by better layout and better aligned process flow. Inventory Excess: Numerous factors can lead to excessive inventory, which, in a mass production paradigm, might appear as productivity, yet does not benefit the overall process. Motion waste: Even the repetitive motions of employees on the assembly line can diminish productivity and contribute to waste. Excess Processing: Avoid redundancy and unnecessary steps. Lean identifies value as defined by customer demand, thus leading to more satisfied customers. Lean removes wastes like inventory, transportation, and others. Lean shortens cycle time and increases production. Lean brings about greater employee morale and buy-in. Lean produces more per man hour. Lean reduces the amount of space needed for production. Lean increases cash on hand. Lean focuses on pull – or demand-based flow manufacturing – rather than push. Lean reduces operational costs, maximizing profits. Specify value as perceived by the customer: Value must be perceived through the customer’s eyes – not merely based on the product you can provide, but the end solution they actually want. Identify the value stream: Rather than thinking in terms of departments, companies using lean principles will visualize the value stream as an interconnected flow of processes that provide value; this does not include any processes or steps that do not directly contribute to the value. Make the value flow through the value stream: The focus must be on value-adding steps; if non-value-adding steps are necessary, perform them simultaneous to the value-adding steps, but never put them before. Pull the value from the value stream: Avoid inventory management waste by shifting to a single-piece flow that produces products on demand as needed. Strive for perfection: The goal is not to improve beyond your competitors but continuous improvement and perfection in every way – from order processing to logistics to customer service. Lean production is all about getting the most out of every resource and finding better and better ways to do things. 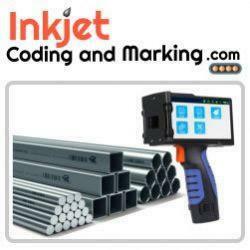 In this pursuit, numerous lean manufacturing tools have been developed and refined. And here are some of the most powerful tools to use in your lean manufacturing operations. 1. Sort: keep workplace free of all unnecessary items. 2. Set: all things should be in order for each unique workplace to ensure maximum ease and efficiency. 3. Shine: everyone should be a janitor; everyone is responsible for keeping their workspace clean and tidy. 4. Standardize: all roles and tasks should be standardized in lists and schedules to promote good habits. 5. Sustain: ensure everyone is committed to the long-term goal. Just-In-Time or Just-In-Sequence (JIS) is a form of lean manufacturing and a logistics method for inventory control. JIT is a system of manufacturing what the customer wants, in the quanity the customer wants, when the customer wants it. This allows the reduction or elimination of buffers or inventory, and means the use of delivered components within minutes of their delivery. Gemba means “the real place” in Japanese, and refers to the factory floor in manufacturing – or any place where the value happens. In lean manufacturing philosophy, this technique involves a “Gemba walk” management must regularly go on at the site. This allows management to get a real feel for the process and any issues to address. This tool involves creation of a flow diagram depicting each and every step in the value process. Such a map allows for evaluation of all steps to identify waste and inefficiency and to reduce manufacturing time. This strategy for continuous improvement is one of the most powerful and important tools for lean manufacturing operations. From the Japanese words, kai, meaning “change,” and zen, meaning “good,” this tool emphasizes the need for good change on an ongoing basis. This means documenting and managing procedures and taking input and feedback from all members of the company. Over time, this lean manufacturing tool will incrementally produce powerful changes for the better. The goal in view is to identify the weakest link or proverbial bottleneck holding back the speed of the overall process. Lean manufacturing often utilizes bottleneck analyses to determine the slowest processes and steps in the manufacturing stream. Speeding up just one or two small functions can often dramatically speed up the entire manufacturing process. This Japanese word for “signs” refers to a system of using cards or signs to indicate three phases each product moves through: do, doing, and done. Using this visual “pull” system, it becomes easier to manage only those parts needed for a specific production run. This eliminates the need for excess inventory or backlogged products. Closely associated with Kanban and JIT, this tool integrates all production elements through ongoing examination, evaluation, and improvement. In order to provide stability and continuity, continuous flow usually means leaving the factory running 24 hours a day with no interruption and very little waste if any. This is the opposite of batch production. Through following these principles of lean manufacturing, adopting these tools, and reducing these key wastes, manufacturers who specialize in lean concepts create highly desirable byproducts. Lean production results in a certain agility in meeting the competitive demands of a swiftly evolving marketplace. The focus on total expense and value rather than on single component costs not only eliminates waste and inefficiency, it also promotes quality and customer-driven solutions. The faster products can flow through an organization from start to finish, the faster that company can respond to market demands and satisfy the consumer. And the more efficient that process is, the more quality the company can afford for each dollar. Lean manufacturing powerfully enables producers to navigate the changing market with precision and agility. This comes from traveling light and from a manufacturing process utilizing surgical precision. In the end, as streamlined, stripped down, and simplified as they are, lean producers are the giants of modern manufacturing.